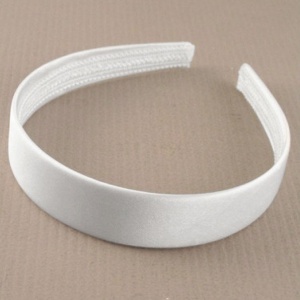 Girls white satin hair band, perfect for a wedding, communion and other special occasions. This alice head band in soft white satin will beautifully compliment her special occasion dress. This item does not require a size guide. For all pre-order items we dispatch every Monday & Friday morning (actual dispatch date will be shown on the product page).